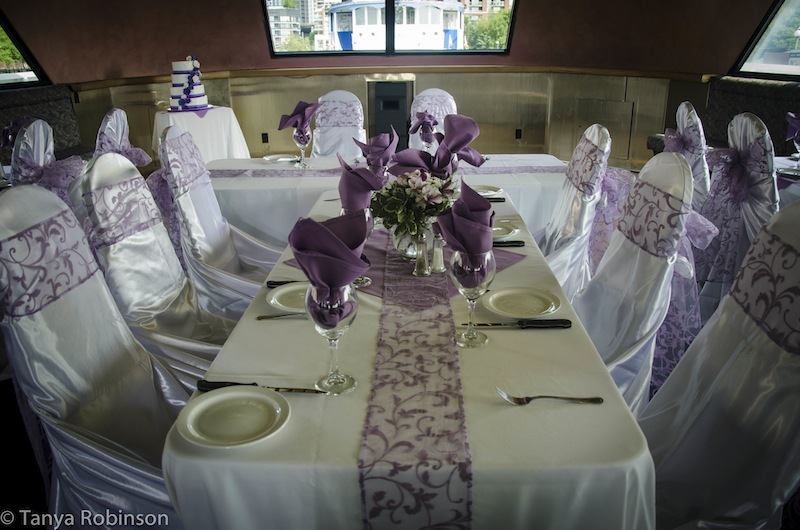 If you are considering a Wedding Cruise of the Toronto Harbour for your big day then here are some of the reasons that make that a great alternative to your traditional banquet hall. Marrying your special someone marks one of the most memorable days of your life. That day should be what you hoped and dreamed of. If you are into water, ships, and the outdoors, perhaps you have your heart set on saying I Do somewhere different. Consider standing on the stern of a beautiful cruise boat with friends and family, surrounded by Mother Nature at her best and a spectacular Toronto skyline as a backdrop. Parklands on one side. Yacht club on the other. Water filled with swans, geese and ducks. We can provide such a place. You just need to pick the date and time.  have those forever photos taken with all of this in the background.  Feel the warm summer breezes as you thank your guests for sharing with you something so special! An experienced cruise boat company can help you with your wedding planning, provide the option of a variety of wedding packages, and provide you with an officiant, design the perfect décor and customize your menu. Ask us how we can help you make your dream of a spectacular wedding come true. Or may we suggest you contact Yankee Lady Cruises directly, they have been doing wedding cruises for 30 years so this maybe a great place to start your plans.